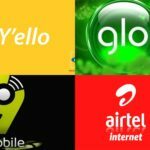 9mobile data plan could be an awesome choice for you if you want to surf the internet with super-fast data. However, the data plans are not as affordable as those of MTN, Airtel and Glo. For instance, while MTN N5000 gives 10GB, Airtel gives 12GB, and Glo gives 15.6GB for the same amount, 9mobile only gives 7.1GB for N5000. In other words, the 9mobile data plan is the costliest of the four top telecoms in Nigeria. Just like other telecoms, 9mobile data plan includes monthly plans, daily/weekly plans, night/weekend plans, and even yearly/quarterly plans. 9mobile monthly plans are all valid for 30 days. They include 500MB plan at N500, 1GB plan at N1000, 1.5GB plan at N1200, 2.5GB plan at N2000, 4GB plan at N3000, to mention a few. The daily/weekly plans include three plans. The daily plans are valid for 24 hours while the weekly plans are valid for 7 days. There are two daily plans and one weekly plan. The daily plans include 10MB at N50 and 40MB at N100, while the weekly plan includes 150MB at N200. The night/weekend plans include three plans – a night plan and two weekend plans. The night plan is valid for 24 hours (usable from 12 am to 5 pm) while the weekend plans are valid for 30 days (usable evenings and weekends from 7 pm to 7 am). The night plan includes 1GB plan at N200, while the weekend plans include 2GB at N1000 and 5GB at N2000. For the yearly/quarterly plan, 9mobile offers a yearly plan and two quarterly plans. The yearly plan includes 120GB plan at N110,000 valid for 365 days, while the quarterly plans include 30GB plan at N27,500 valid for 90 days and 60GB plan at N55,000 valid for 120 days. 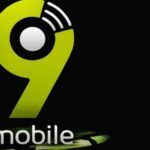 It is easy to subscribe to 9mobile data plans. Simply dial *229# and follow the prompt to choose the specific 9mobile data plan of your choice. Family share data plan – used to share data with a maximum of five 9mobile numbers. Dial *200# and follow the menu to share. Multi-device Plan – You can use a single data plan on multiple devices to a maximum of 4 devices. Dial *215*PIN*1*New Number*New PUK#. For subsequent SIMs change 1 to 2, 3, and 4. Data Gifting – Surprise your friends/family by gifting them data using data gifting. Dial *229*2*7*Recipient’s Number# for 9mobile data gifting. In general, 9mobile data plan gives you flexibility and allows you to do more with your data but the ease and features come at the expense of cost.